One of the most important steps in keeping your Orlando, FL septic system in top shape is regular septic tank pumping. Septic Tank Pumping in Orlando – Do you have problems with your drains, such as clogs or backups? While these may seem harmless, they can be symptoms of a problem with your septic tank. One of the most important steps in keeping your septic system in top shape is regular septic tank pumping. When you are looking for an honest septic company that can help you maintain your septic tank and prevent costly repairs, we are here to help you. We will also check your septic tank for cracks, holes or other imperfections to save you costly repairs. 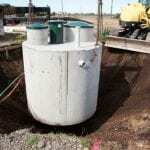 At Clark Septic, our septic tank pumping services can prevent serious problems in the long run. If your septic tank becomes overloaded with sludge, it won’t be able to drain properly, causing the materials to back up in the pipes. Instead of waiting for a problem to happen, schedule routine septic tank pumping with our technicians. When we come out to your property, we will use a pump truck to eliminate the waste from inside the tank, providing a smooth and easy flow. This eliminates the risk of sewage backup and other serious problems. 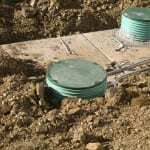 At Clark Septic, we offer septic tank pumping services to commercial and residential properties in Orlando, Florida, as well as many of the surrounding cities in the area. Contact us today at for more information, or you can fill out our contact form to get a fast estimate for all of your septic tank pumping and other septic needs. At Clark Septic, we offer high-quality septic tank pumping services in Orlando, Altamonte Springs, Deltona, Ocoee, Pine Hills, Winter Park, and Winter Springs, Florida.